Apple not just revamped the Mac and iPad hardware line up at its ‘Special’ event on October 30 in Brooklyn, New York, but also gave an official introduction to iOS 12.1. The rollout of the new OS version was announced by Apple CEO Tim Cook at the end of the event. This comes to all the eligible iPhone and iPad devices that are running on iOS 12 or iOS 12.0.1. Here’s everything new that is coming to your iPhones and iPads. Group FaceTime: Chat with up to 32 people at the same time This is one of the most highlighted features of iOS 12.1. Group FaceTime, which was showcased at WWDC 2018 conference earlier this year, will make it possible to perform a FaceTime call with a total of 32 users. It automatically detects who is speaking and makes the user’s display icon more prominent on the screen. The feature is also integrated in the Messages app making it easier to start a FaceTime call directly from the group chat. 70-plus new emojis Apple iOS 12 also brings new emoji characters onboard for iPhone and iPad users. The update includes 70 new emojis featuring characters with red hair, grey hair, curly hair and bald head. There are different emojis for animals, sports and food as well. Another key feature rolled out via iOS 12.1 update is the support for dual-eSIM cards. This is, however, limited to iPhone XS, iPhone XR and iPhone XS Max only. This means users can now switch between two telecom carriers using just one SIM card. The iOS 12.1 update also brings Depth control feature to the iPhone cameras. This essentially improves the Portrait shot with ‘professional-level bokeh’ look. Users can also adjust the depth of field in real time before they press the shutter button. It is also available for TrueDepth front-facing cameras. You can check for the iOS 12.1 update on your iPhone and iPad devices by navigating through Settings > General > Software update. It is worth adding that the device would require over 50% battery charge and Wi-Fi connectivity. Cupertino-based smartphone giant Apple is reportedly rolling out an update to its latest operating system -- iOS 12 -- on October 30. The same day as Apple is holding an event in New York where it is expected going to launch new MacBook and iPad. As per media reports, the new update -- iOS 12.1 -- will be rolled out a couple of hours after the event. Among other features, the iOS 12.1 update is also going to enable the eSIM support in apple's latest iPhones -- iPhone XS, iPhone XS Max and iPhone XR. According to a report by 9to5Mac, quoting various telecom carriers have stated that they "are readying for an iOS 12.1 launch on October 30, coinciding with the rollout of eSIM support for iPhone XS, iPhone XS Max, and iPhone XR." 9to5Mac also reportedly spotted Bharti Airtel India's Tweet where the telco responded to a user's tweet asking about the availability of the e-SIM support in the 2018 iPhones. "Hey Nilesh! Please be informed that Esim functionality for iPhone XS Max will be available effective 30-Oct when Apple releases iOS 12.1 Thank you, Anmol P," reads the tweet. The tweet, however, has now been deleted. Readers must note that the iPhone XS, iPhone XS Max and iPhone XR did not come with eSIM support which the company said will be rolled out later with OS update. 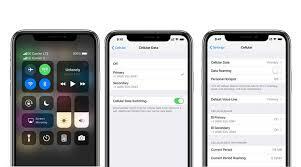 As per iPhone User Guide for iOS 12.1, new features include dual-SIM support via e-SIM and Group FaceTime. The Group FaceTime will allow iPhone and iPad users to video chat with up to 32 people simultanelously. The feature is not available in all regions and in some older devices. Apple iPhone 5s, iPhone 6 and iPhone 6 Plus will support only Group FaceTime audio-calls and not video calls. Another update will be adjustment of depth when clicking a picture in potrait mode. Apple Music too will get a new layout. In India, both Reliance Jio and Bharti Airtel are Apple's official eSIM partners for the latest iPhones. The country's largest telecom operator, Vodafone-Idea is still not supporting the eSIM feature in the country. While Reliance Jio is offering eSIM support for both prepaid and postpaid users, Airtel is offering the eSIM facility only to its postpaid subscribers. As of now, there are the only 10 countries worldwide where e-SIMs work -- Austria, Canada, Croatia, Czech Republic, Germany, Hungary, Spain, United Kingdom, United States and India. China is the only market where Apple will launch a different version of the new iPhones with two physical nano SIM card slots. 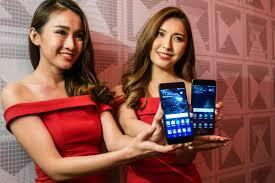 These models with two physical nano-SIM card slots will be exclusive to mainland China, Macau and Hong Kong. Xiaomi Mi 8, the 8th anniversary flagship smartphone from the Chinese company, is now official. The smartphone has been launched alongside Mi 8 SE and Mi 8 Explorer Edition at company’s annual product launch event in Shenzhen. While the three smartphones were major attractions at the event, the company also introduced the next version of its mobile user interface. Called MIUI 10, the user interface is one of the major design changes to Xiaomi’s UI in recent times. The MIUI 10 is bringing major changes to the visual appearance of user interface, and is designed with full screen experience in mind. At the event, Xiaomi revealed that its MIUI is being used by 190 million users worldwide. Recent Apps Menu One of the key changes coming with MIUI 10 is way it handles recent applications. The company is going in favor of card-like interface where the apps lay side-by-side on the screen. This interface enables users to see as many as six recent apps at the same time. Xiaomi says that the interface is designed to give more information to users at a glance, and the cards themselves are interactive. The MIUI 10 users can swipe to delete the app or long press for deeper actions. Artificial Intelligence AI has become the buzzword in tech industry, and Xiaomi is also integrating the technology into its UI. Xiaomi says MIUI 10 has nearly zero loading times for applications, and the interface has been optimized by studying app usage and anticipating user actions. It also brings single camera bokeh mode to older smartphones like Mi 5 and Mi MIX 2 which have single rear camera. Smart Home Manager and Driving Mode MIUI 10 brings smart home manager, a unified interface to control all your smart home devices. Xiaomi says the interface will be supported by 590 brands, and there will be controls for each smart home device. MIUI 10 also brings a new driving mode that relies on voice commands to avoid distraction while driving. This will make it easier to navigate using maps and take phone calls. 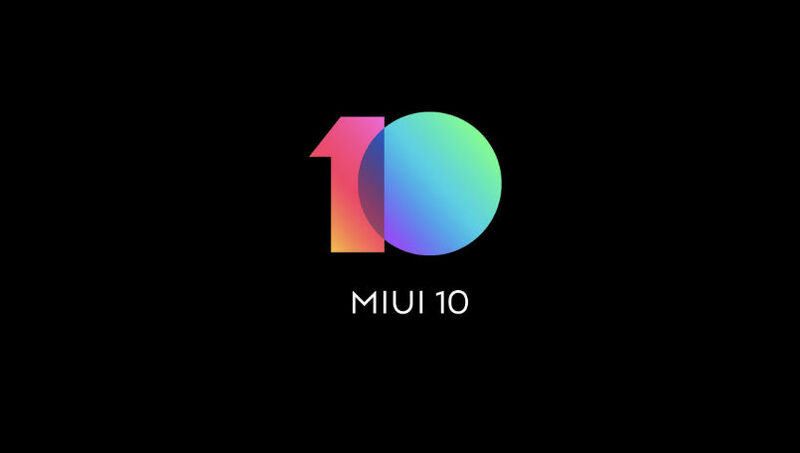 Availability The MIUI 10 developer ROM will be available for over 33 Xiaomi smartphones. The first batch of devices will get the developer preview on June 6. The first set of devices getting the update will include Mi 8, Mi MIX 2S, Mi MIX 2, Mi 6X, Mi 6, Mi 5, Mi Note 2, Mi S2 and Mi Note 5. Microsoft announced this past Friday that its hotly anticipated new update, now known simply as the Windows 10 April 2018 Update, would be released on Monday. Today, the company delivered on that promise. The Windows 10 April 2018 Update comes a bit later than expected considering today is the last day of the month, but it’ll be no less appreciated by Windows 10 users who gain access to a number of important new features. The update, which Microsoft had previously called the Spring Creators Update, is all about increasing focus and promoting productivity. 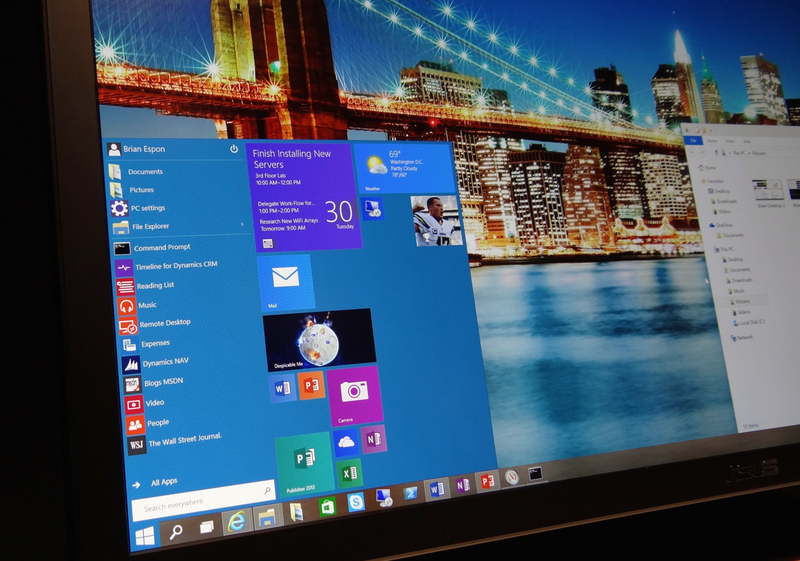 “With Windows 10, we’ve focused on delivering the most modern and most secure operating system. Since its initial launch, we delivered two updates with features designed to enable the creator in each of us,” the company said in its announcement. “With our latest major release – the Windows 10 April 2018 Update – we want to give you back some of your greatest currency, your time. Our hope is that you’ll have more time to do what matters most to you – create, play, work or simply do what you love.” We’ve already told you about all of the best new features in the Windows 10 April 2018 Update, and you should go back and read that post if you plan to install the Windows 10 April 2018 Update today. Once you’ve gone over all the biggest new additions to Windows 10 though, take a look through this post to learn about our five favorite hidden features in the new Windows 10 April 2018 Update. Bye bye blur Remember when 1080p resolution was a big deal? Well those days are long gone and it seems like even lower-cost Windows laptops and mid-range PC monitors support higher resolutions. Heck, you can get a really good 27-inch 4K monitor on Amazon these days for just over $200! Of course, not all software scales well on these super high-resolution displays, which is why Windows 10 has a scaling option. This way, users can quickly and easily scale up things like fonts so that they’re larger and easier to see on monitors with very high resolution. The problem, of course, is that scaling up certain apps make them look horrible and blurry. Good news! There’s now a new feature that comes courtesy of the Windows 10 April 2018 Update to let you fix these blurry apps. Just go to Settings > System > Display > Advanced scaling settings and toggle the option “Let Windows try to fix apps so they’re not blurry” to on. Faster updates If you configure Windows 10 to automatically update overnight, it doesn’t really matter how long your PC is offline. Of course if you’re an early adopter that’s not the case, because the Windows 10 April 2018 Update isn’t yet available as an automatic update. If you want it now you’re going to have to update manually, and that means you’re going to have to spend some time offline while major update components are installed. Last year’s Creators Update left PCs offline for a whopping 82 minutes, and the subsequent Fall Creators Update left you twiddling your thumbs for 51 minutes. Impressively, the Windows 10 April 2018 Update will only leave you offline for about 30 minutes. Stop updates from slowing down your PC It’s great that Windows 10 can download updates in the background while you continue working. But the worst thing about Windows updates — even ones that happen in the background — is that they tend to slow down your machine while they’re being downloaded. Honestly, it would probably be less frustrating to just take the PC out of commission while updates are being downloaded than to have your machine slow down. Once you install the Windows 10 April 2018 Update, you’ll be able to prevent future slowdowns. Go to Settings > Update & Security > Advanced Options. On the next screen, click on Delivery Optimization > Advanced Options. Now, check the boxes next to “limit how much bandwidth is used for downloading updates in the background” and “limit how much bandwidth is used for downloading updates in the foreground.” Then just use the sliders to adjust the maximum amount of bandwidth updates can use. Privacy improvements Last but certainly not least, the Windows 10 April 2018 Update includes some lesser-known privacy improvements that will be much appreciated by users who value their personal data. This is obviously a very hot topic right now in light of the Facebook-Cambridge Analytica scandal. In the new Windows 10 April 2018 Update, there are four key privacy enhancements that most people don’t know about. First, privacy settings pertaining to camera hardware will now impact all software, including Win32 programs. Second, there’s a new option to automatically block all permission requests for Account Info, Calendar, Call History, Contacts, Documents, Email, Messaging, Pictures, Tasks and/or Videos. Third, the Activity History page (Settings > Privacy) now includes an option to enable or disable “Let Windows collect my activities.” And finally, “Diagnostics & Feedback” now lets users view the data Windows 10 has collected, and it can quickly and easily be deleted. Chinese smartphone maker Huawei Technologies is working on its own proprietary mobile operating system (OS) since 2012 after a US investigation into the company, the media reported. The company, which is also the world's biggest telecommunications equipment manufacturer, would ditch Google's Android platform amid reports that it is under investigation by the US for breaching sanctions against Iran, the South China Morning Post reported on Sunday. "The company started building its own OS after a US investigation into Huawei and ZTE in 2012. Huawei also has its own OS for tablets and personal computers," the report added. According to media report, the US House Intelligence Committee found after a year-long investigation that the Chinese businesses, Huawei Technologies and ZTE Inc, were a "national security threat because of their attempts to extract sensitive information from American companies and their loyalties to the Chinese government". Google's Android OS and Apple's proprietary iOS have a stronghold on smartphone OS, accounting for 99.9 percent of the global market, according to Gartner. "The plan to build a proprietary OS was started by Huawei's founder, Ren Zhengfei, and the company has never given up on it as it is seen as a strategic investment to prepare for 'worst-case scenarios'," the report added. Huawei's alternative to Android has not been released as it is not "as good" as Android and the system does not have many third-party apps developed for it. The company is currently under investigation. If the the US Department of Justice finds it guilty of violating sanctions, it could impose criminal penalties on the smartphone maker. Another Chinese player, ZTE, paid $892 million in fines for exporting US tech to Iran last year. The US Department of Commerce has activated a denial of export privileges against ZTE for alleged violations of the US Export Administration Regulations. ZTE is currently taking steps to comply with the US denial order. Huawei, the Chinese tech company that is better known for its smartphone devices, is said to be working on its own operating system that might emerge as an Android alternative. Although the company’s handsets, including those from its sub-brand Honor, run on Google’s Android, the new OS version still seems far from seeing the light of the day. As reported by South China Morning Post, Huawei started working on its own operating system ever since it was under investigation by the US in 2012. The company is also said to have its own OS for tablets and personal computers. The project was reportedly started under Huawei’s founder Ren Zhengfei and is a preparation for ‘worst-case scenario’. The OS for now doesn’t seem to be ready for public rollout as it is not as capable as Android. In addition, the OS lacks third-party apps from developers as well. Apple every year releases a new iOS update with new features and enhancements in almost every section for millions of iPhone and iPad users. 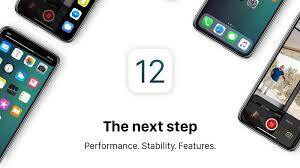 Last year it released iOS 11 and this year it is widely expected to bring iOS 12. While the iOS version is introduced at WWDC 2018 in June, Apple starts rolling it out in September or October to end users. However, there is a way using which anybody can get access to upcoming iOS versions before they actually hit iPhones and iPads at the end of each year. It is by enrolling in the company’s Apple Beta Software Program. 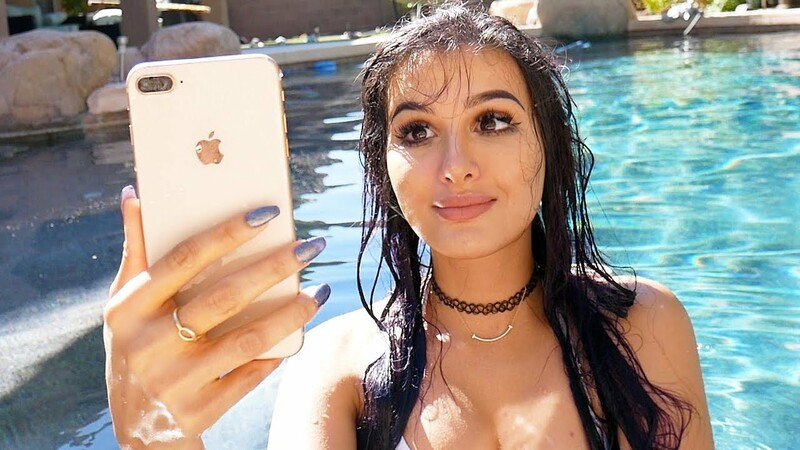 Those enrolled in this program get access to iOS public beta versions a bit early than the rest of the crowd and can use the new features as well. Although these versions are not the final version, they do give you a fair idea of what the end product will look like. Here are some steps on how to become a member. Apple usually keeps such programs in order to get a feedback from users of any bugs or any other issues. While today we’re only talking about iOS beta program, similar programs are there for macOS and tvOS as well. Step 1: Visit https://beta.apple.com/sp/betaprogram/welcome and sign in to your account. Step 2: Before installing the beta software, backup the data so that you don’t lose content in case things don’t go as planned. Step 3: From the iOS device (iPhone or iPad), visit beta.apple.com/profile website to download the configuration profile. Step 4: Once downloaded, the iOS device will prompt automatically to install it. Follow the instructions on the screen. Step 5: After this the device will get an OTA update for the beta version of the latest iOS. You can tap to Settings > General > Software Update. And voila! Apple is expected to introduce iOS 12 in June this year during the WWDC 2018 conference. The conference meant for developers will be taking place from June 4 through June 8. Apple will be holding the event at the McEnery Convention Center, San Jose, US. Apple is planning to move away from 32-bit apps completely this time. The firm last year ditched 32-bit apps in favour of 64-bit apps on iOS and this time it is the macOS. According to a report by Ars Technica, macOS users will start (some have already started) seeing notifications while opening 32-bit apps, suggesting that these won’t be supported in future versions. Although it’s up to the developers when or if they choose to upgrade their apps, what you can do for now is to check what all apps on your MacBook laptop or iMac desktops. Of course, you will see the notification pop up when the app is opened, there is a way to see all the 32-bit apps at once in a list. Here’s what you need to do. Step 1: In your macOS-running device, click on the Apple logo on the top-left corner. Step 2: In the drop-down, click on the ‘About this Mac’ option. Step 3: Clicking on it will open a new window revealing details about the device, its memory, disk space and more. In the particular window, click on the ‘System Report’ option at the bottom. Step 4: In the next window that opens, navigate to Software/Applications options on the left sidebar and sort all the apps by ’64-bit (Intel)’. Step 5: All those apps that say ‘No’ means they are 32-bit apps and need to get updated to 64-bit. Ones showing ‘Yes’ means they are 64-bit apps and will work seamlessly in the next macOS version. There is no final date as to when 32-bit apps will stop working completely on macOS devices. However, Apple’s push towards the 64-bit platform is evident. The company did alert developers last year for this as well. “At our Worldwide Developers Conference in 2017, Apple informed developers that macOS High Sierra would be the last version of macOS to run 32-bit apps without compromise,” says a statement in Apple’s support page. We are likely to hear more about this transition at the upcoming WWDC 2018 conference. If your iPhone is acting up, or if you happen to have a cracked screen, you can never go wrong taking the device into a nearby Apple retail store. The only downside, though, is that having Apple repair a device can sometimes be significantly more expensive than going through a third-party. 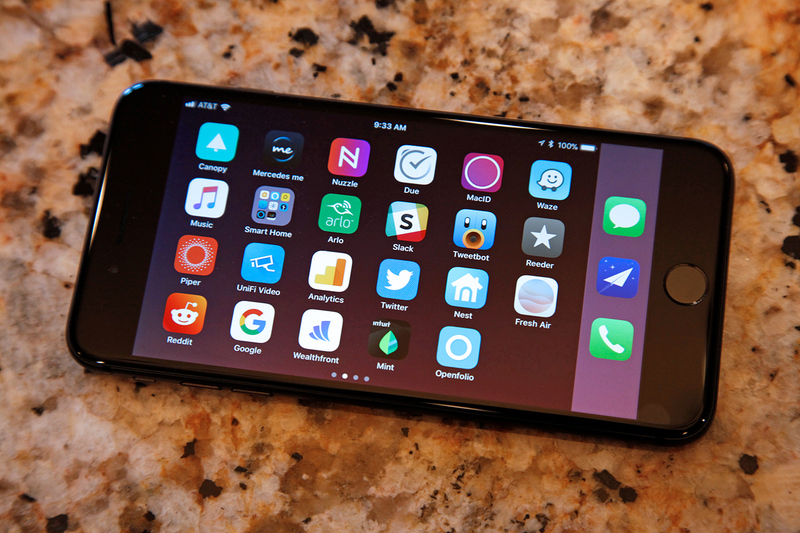 As a result, and in light of the fact that iPhone displays are far from bulletproof, there are any number of third-party outlets who can replace a cracked or wonky iPhone display at a reasonable rate. More often that not, you won’t be able to find much of a difference between the work Apple does and the work you’ll receive from a reputable repair shop. That said, a new report from Vice relays that the recent iOS 11.3 update Apple rolled out late last month appears to be bricking iPhone 8 units with screens provided by third-party repair shops. Specifically, impacted iPhones can be turned on, but the display itself is absolutely non-responsive to touch, essentially rendering the device completely useless. Apple released iOS 11.3 at the end of March, and the update is killing touch functionality in iPhone 8s repaired with some aftermarket screens that worked prior to the update. That means people who broke their phone and had the audacity to get it repaired by anyone other than Apple is having a hard time using their phone. Now if this type of story seems vaguely familiar, you might recall that a similar story emerged last year when it was discovered that Apple took steps to prevent users from using independent repair shops to fix faulty home buttons on the iPhone 7. And one year before that, some device owners who had their home button serviced by a third-party had their devices bricked when they upgraded to iOS 9. At this point, there’s no indication that what’s going on with iOS 11.3 is purposeful. In the meantime, we’ll have to wait and see if Apple will address the issue soon or perhaps roll out a minor software fix. Going forward, the harsh reality is that it’s better to spend a few more bucks getting a device repaired at Apple than going to a third-party, even though the latter is typically far more affordable.